There is nothing stronger than a baby’s love to his mom! When a child is born, his mother becomes his universe, his integral part, until he slowly explores this world around him! And this baby is a perfect example to demonstrate it. This video, shared by USA Today, earns more and more fans! It features the baby boy who is resting in his mommy’s arms. But the most adorable thing is that he can’t take his eyes off her! No matter what she does, whether she is looking at him back or turns away, his eyes are glued to mommy. It is not strange to see such a strong attachment, as babies start loving moms since living in the womb. 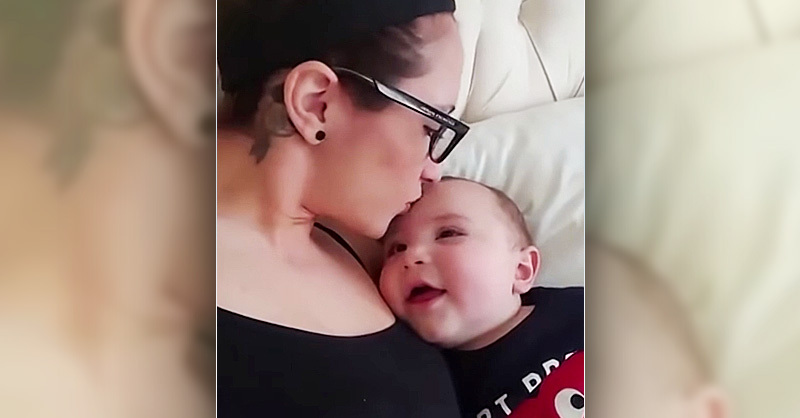 The experts say the initial bond is the strongest, as the baby feels the strongest need in a caregiver! That is why the term “separation anxiety” exists – whenever the mother leaves a child’s sight, he starts getting nervous. It happens because he feels that his life depends on her! Later, children must learn how to express affection. The best tool for teaching them is by your own example. 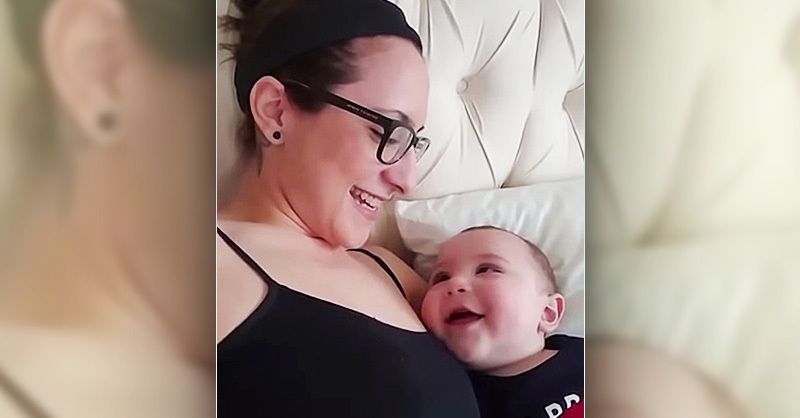 The view of this baby boy gazing at mom with adoration is too lovely! It warms our hearts to watch this little fellow expressing ultimate love and gratitude just through his look!